The Watermaster dredge is a Finnish-made serially produced versatile dredger, that can do suction and backhoe dredging. What is unique about this unit is that it can “walk” in and out of water without crane assistance and moves independently in water, minimizing the need of extra machinery and labour, thus giving a cost-effective solution. 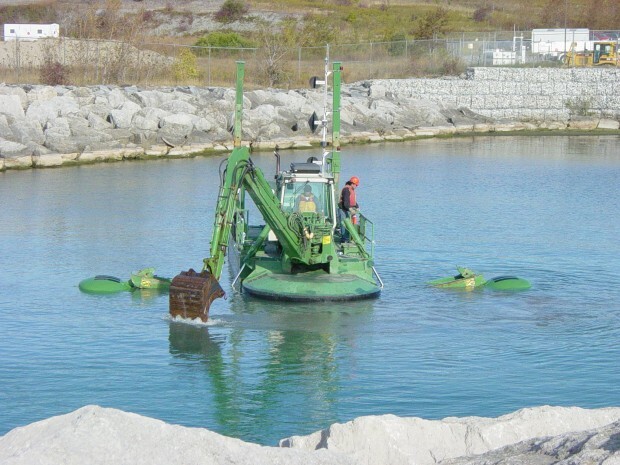 We can do backhoe dredging with a backhoe bucket or with a rake. It can remove floating or rooted vegetation, harmful stones, and trash from the bottom. With the backhoe or suction equipment, it can build discharge areas for sediment disposal.